Tori Amos, Cindy Wilson (the B-52's), and Reeves Gabrels are among the guests on the disco/funk outfit Family Fantastic's Cleopatra Records debut, Nice! The album, produced, written, and arranged by Erasure's Vince Clarke, was released in the U.S. on April 4, 2000. Don't be misled, however, as the contributions are minimal. Both Amos and Wilson's contribution are mere snippets, both less than one sentence each. The album was actually released on April 11, 2000 in the U.S. To be honest, this does not sound like something most Toriphiles will want to worry about. If Tori's contribution is really less than a sentence, then it is such a minor thing it almost seems silly to mention it. Several people have heard this album and can not detect Tori anywhere. I have a report from Beth Winegarner below that says that track 5, called "Hey Nu Nu," opens with a sample of the bull from "Professional Widow." I have another report from Jay C. Venaas who thinks he hears Tori on track 10, "Doin This Thing". Read additional comments about this project below. If anyone has anything new to add, please email me! ok, this is kind of a fun little cd and yes, there is a tori contribution, # 10, Doin This Thing, starts with "Gosh i wanna dance". i think this is tori but not 100% sure. later in the same song though, there is a break and toris' big line is " Plink, Plinka Plink"! not any tori brilliance but pretty funny. thought you might like to let eveyone know. Thought I'd shed some light on the Family Fantastic thing. 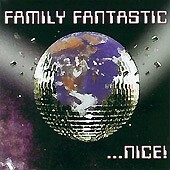 Family Fantastic is a project arranged by Vince Clarke - 80s synth wizard, responsible for Depeche Mode, Yazoo (Yaz in the US) and Erasure. The name is because the vocalists are primarily those used as backing singers on Erasure's tours, and also to make it seperate from his projects with Erasure. It's not (apparently) very good at all (and that's being nice about it) but it has been circulating for 18 months now. It's only just been taken on by a record company (Cleopatra) and yeah, probably best avoided. You might get more info from www.eisinfo.demon.co.uk/jonny/ - check under "news" or "erasure news" or something. I have had (a demo version) of this album for a year now. Unless something has been added since I got my copy - I can't tell that tori is on there anywhere. Mute (erasure's record lable) originally said this is erroneous info. I think that I am sceptical at best. I would have to see the credits and listen to a final version. Origianlly the rumor also said that robert smith from the cure was featured. i think it is all incorrect info - from my sources at Billboard who I got the demo from. By the way, I am a HUGE erasure fan, but this album is crap and I would suggest that people be VERY cautious before buying this album to hear tori. I think that they will be very disappointed ... it is a bad real mccoy knock off and unless something drastic has happened in remastering, tori is indescernable. on further review I think the last atrocious song on the atrocious Family Fantastic album does have tori "plink ... a plink ... plink"